The Washington-backed drive to roll back hospital certificate-of-need laws lurched forward in Florida this week, as the state's two legislative bodies deliberated over two very different approaches. On Monday, a key state Senate panel had to table its limited overhaul of the state's so-called CON laws due to lack of support. 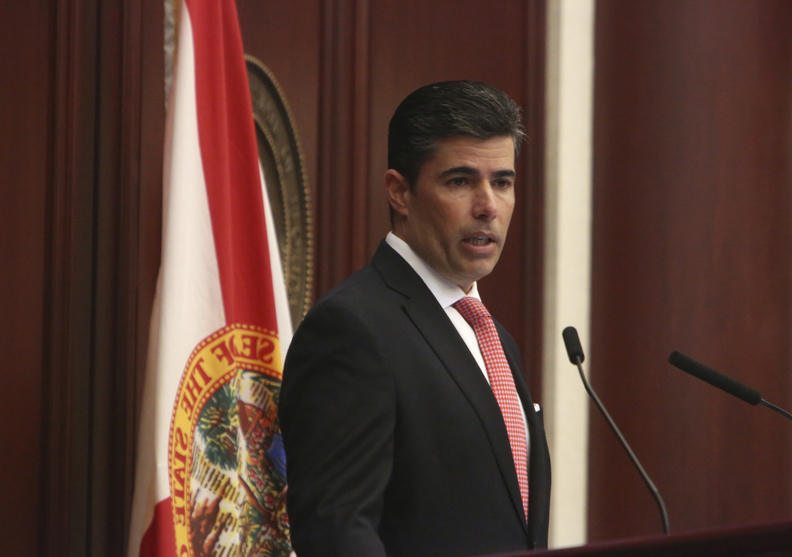 But the state's House of Representatives voted to move forward its proposal for full repeal—a key priority for GOP Speaker of the House Jose Oliva. Florida is one of 35 states with a certificate-of-need law. The more cautious state Senate approach, where stakeholders say they are engaged in "constructive" conversations, poses a contrast to the state House push. It also offers a window into the complicated details states have to work out when pursuing healthcare policies that have broad theoretical support in Washington's think-tank world. State Senator Gayle Harrell, who chairs her chamber's Health Policy committee, took the approach that industry observers in Florida think could ultimately pass this year. Under her proposal, CON laws would remain in place for highly complex treatment facilities. New hospitals—unless they're entering underserved or rural areas—would need to offer a minimum of 80 beds and include a 24/7 emergency room as well as the full progression of services starting with intensive care. Any new hospital would also have to accept Medicaid and Medicare, and provide a certain level of charity care. The bill's caveats are meant to block new hospitals from entering a market and siphoning off commercially insured patients while leaving the existing hospital with all the uncompensated or undercompensated treatment, Harrell said during a hearing. Despite these safeguards, the bill didn't have enough support among the health committee's members to pass, and Harrell tabled it so it can come up for another vote later in the session. Meanwhile in the state's House of Representatives, Oliva has thrown his full weight behind a complete repeal, announcing at the start of the 2019 legislative session that the state "must engage the consumer so that market forces can apply." "That's why we must get rid of policies like certificate of need, which have only served to create local and regional monopolies," Oliva told lawmakers. Oliva has assembled a packet of proposals that target regulation such as scope-of-practice laws for nurses and limits on ambulatory surgical centers—ideas that are popular in conservative policy circles and pushed by the White House. On Wednesday, the bill was read twice on the House floor and placed for a third reading. One hospital industry representative, who asked to remain anonymous due to the highly political nature of the discussions, said that while CON repeal has come up in Florida over the past several years, it's different now. Given Oliva's drive to clamp down on regulations, he expects some kind of overhaul to happen this session. However, he added, given the complications and the politics of a complete overhaul, observers for now expect that if a measure passes it will likely look more like Harrell's muted version. He also aimed sharp criticism at Oliva's overall package of reforms, which don't include any coverage expansions. Florida has not expanded Medicaid under the Affordable Care Act. Late last year the White House in a sweeping policy report urged states to repeal their CON laws. The last state to pass a repeal was New Hampshire in 2017. The Trump administration said that states could potentially include cost savings projected from the repeal of CON laws in applications for 1332 state innovation waivers, in light of loosened guidelines for those waivers. So far, there haven't been any takers: since the 1332 guidance was revised, the CMS hasn't received new waiver applications. On Wednesday, a subpanel of the South Carolina House of Representatives' Ways and Means Committee also held a hearing on its own proposal to repeal its CON laws.